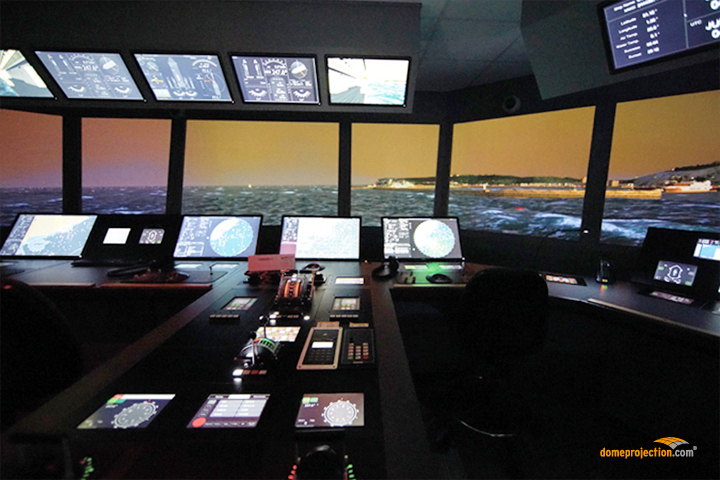 CSMART Academy is a center for maritime training. 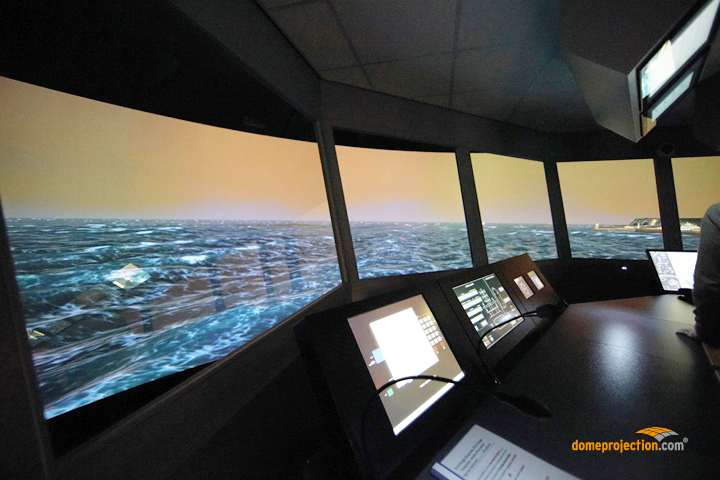 The Dutch partner company Pro Systems commissioned domeprojection.com® to help to install the four Full Mission Bridge Simulators of CSMART Academy. Pro System® created the design and construction of the screens and tasked domeprojection.com® to install the hardware and software for the projection systems. 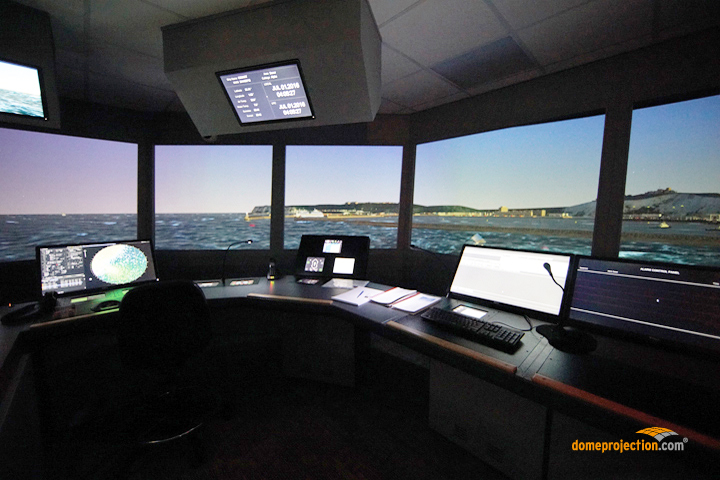 domeprojection.com® sets up the display systems of nine ship bridge simulators in total. The software ProjectionTools developed by domeprojection.com® enables the engineers to set up projection technology automatically and precisely calculate spatial projections. It also allows seamless multichannel projections. 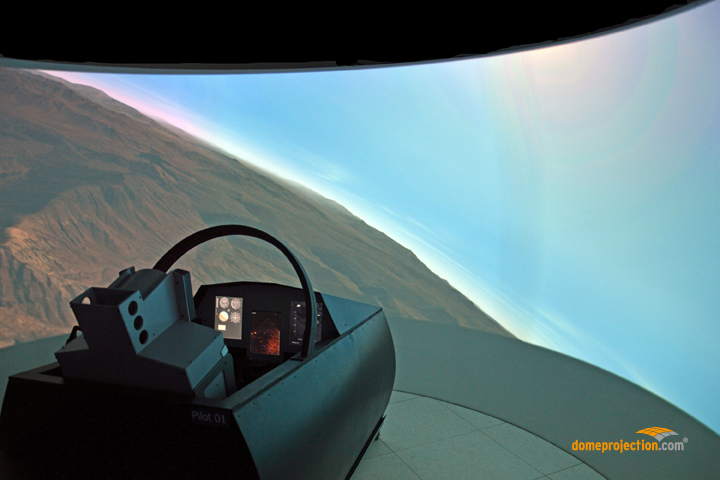 This makes a nearly authentic view into virtual environments possible. 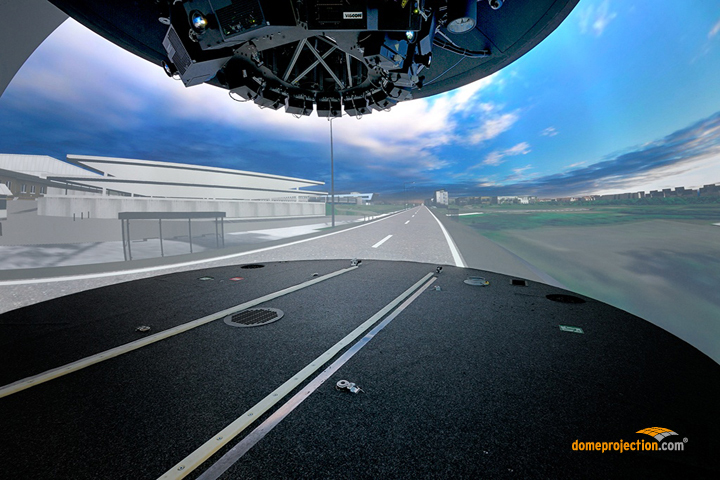 Each full-mission bridge simulator of CSMART is framed by a cylindrical 220 degrees horizontal field of view with two additional sets of bridge wings with dome projection, each with a 180-degree field of view. 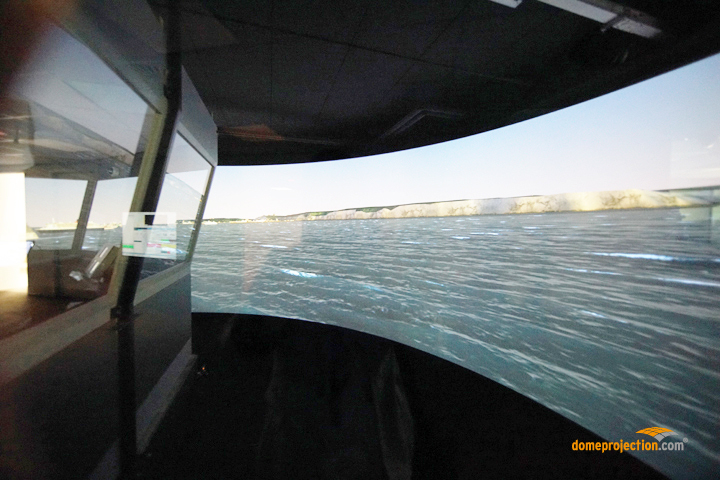 The screens of these replicas of original ship bridges are now projected with virtual environments as a result of the teamwork of Pro Systems® and domeprojection.com®. 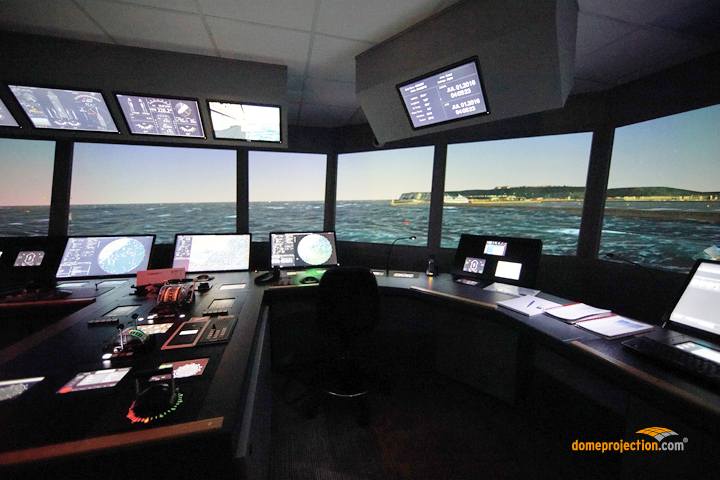 The database of this virtual environment does not only contain data of major cruise ports. Also, the sea and weather conditions can be changed. 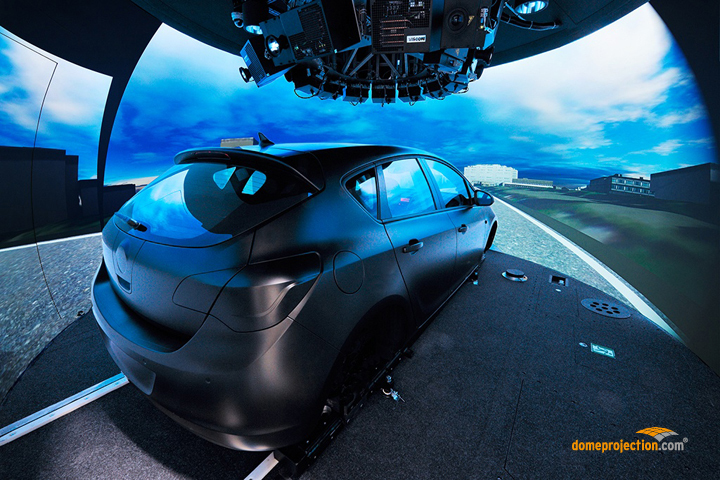 The result is that the simulation not only looks deceptively like real, but also feels like it. 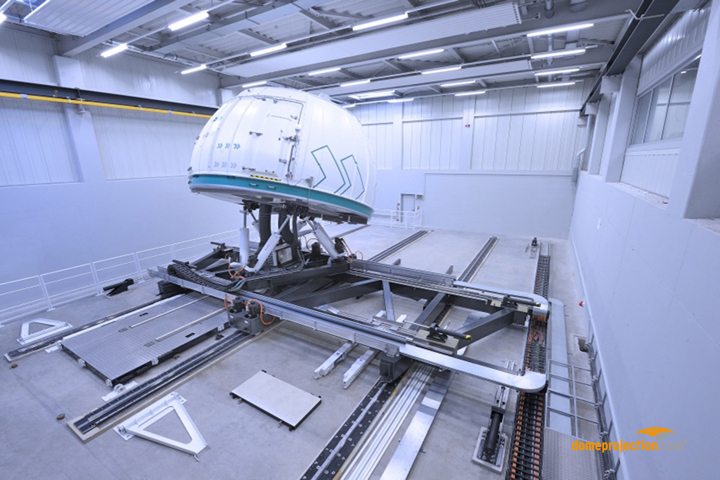 The Research Institute of Automotive Engineering and Vehicle Engines Stuttgart (FKFS) and the University of Stuttgart have jointly constructed the largest motion vehicle simulator which has ever been built at a research institution in Europe. domeprojection.com was asked to perform calibration of the dome. 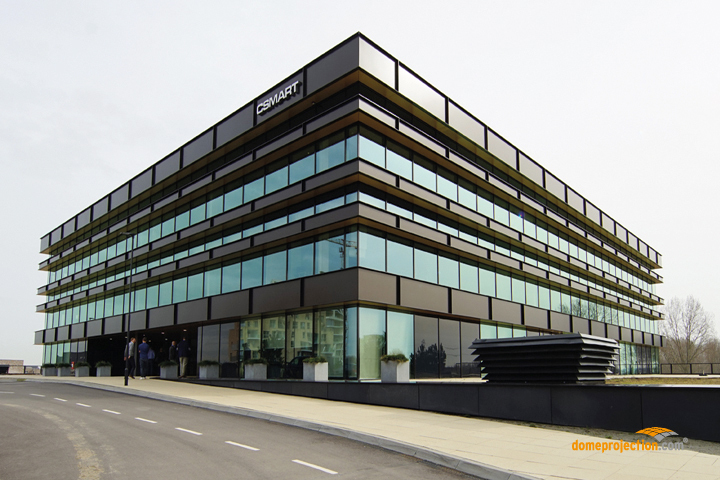 The project was realized as part of the R&D project VALIDATE with 3.7 million EUR by the Federal Ministry of Education and Research. 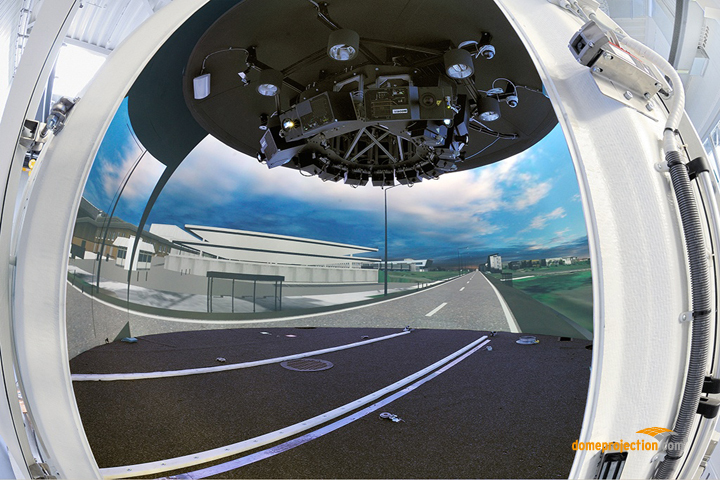 The driving simulator consists of a hexapod, which can replicate pitching, rolling and rotary motions and also has a linear motion range of 7×10 m on the x/y rails to be able to realistically recreate the linear motions, which occur when accelerating and braking. The projection system is equipped with twelve LED-projectors. domeprojection.com was commissioned to install the multi-camera ProjectionTools auto-alignment system and to perform the initial calibration of the 12-channel hemispheric projection system. domeprojection.com® has successfully integrated SAAB JFIST® warp and blend into ProjectionTools. 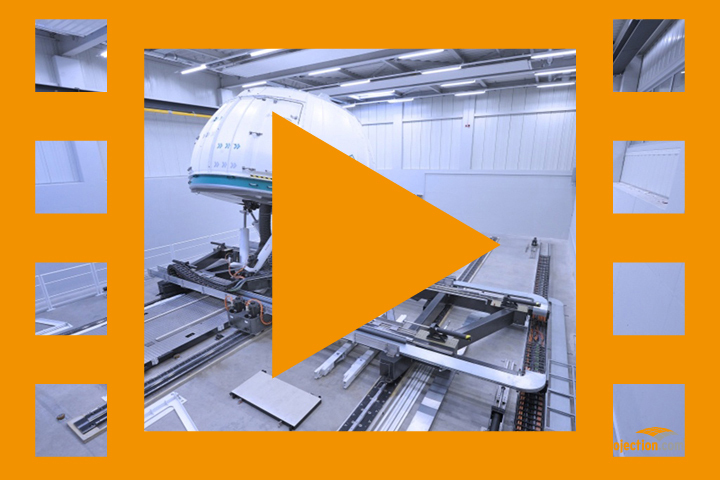 SAAB has its own warp and blend functionality but they were looking at upgrading to get a more robust, automated solution with high end quality. 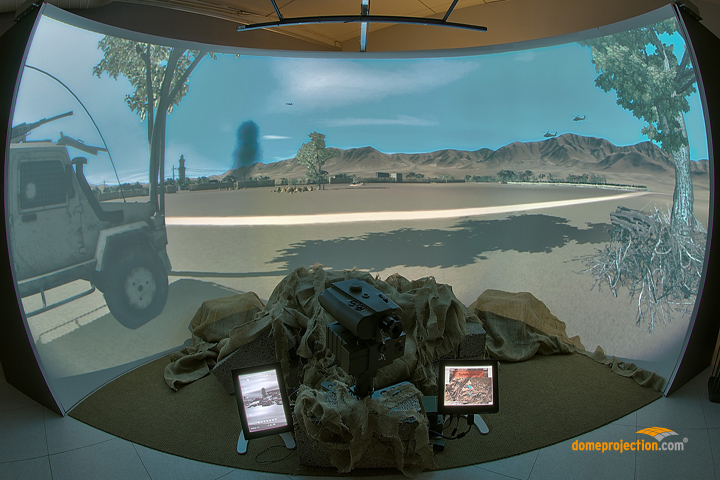 Having jointly examined the opportunity of having our two products work together the first targeted project was to showcase JFIST® (watch video on youtube) Joint Fires Synthetic Trainer in combination with auto-calibration in the domeprojection.com® booth at ITEC 2013 in Rome. Efforts from the joint team took only about 1 week. 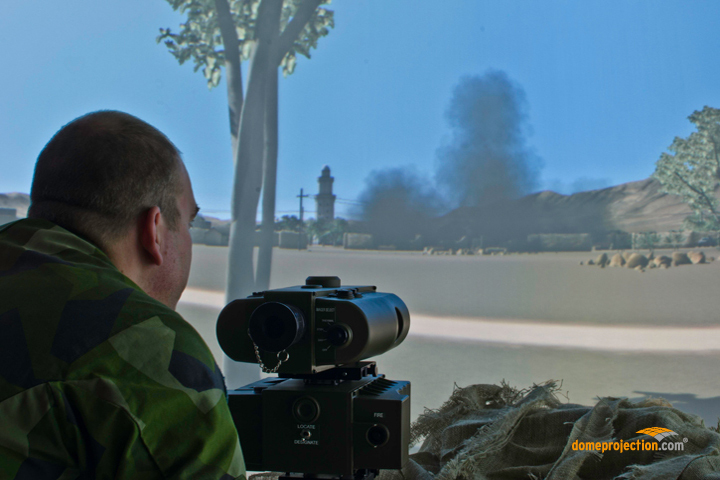 SAAB was very impressed with the added visual quality of our system and we received a lot of attention at the show. 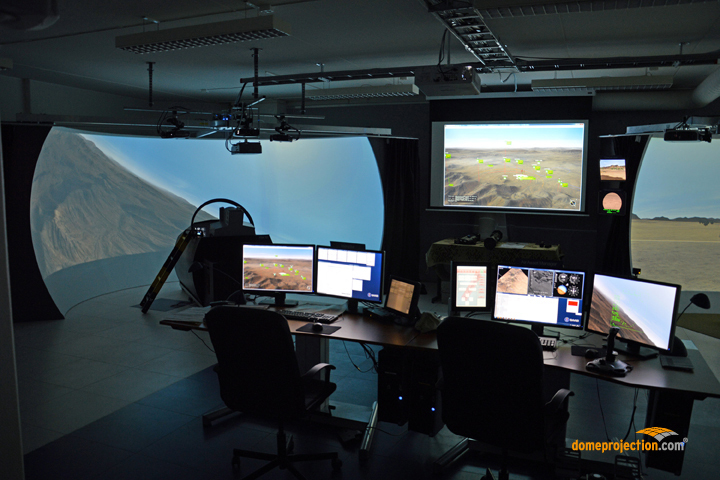 Recently SAAB also upgraded the FAC station and the pilot station in their demo/training facility in Täby, Stockholm.